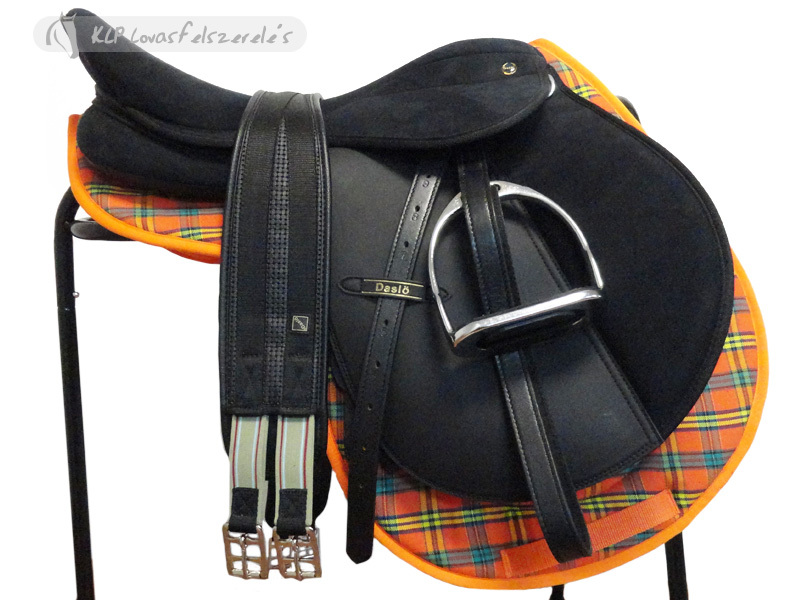 All purpose saddle with change gullet system, in synthetic leather, provided with sure grip synthetic suede seatand knee pads, flexible synthetic tree, buffalo leather girth straps,knee rolls with velcro and woolen filled panels. 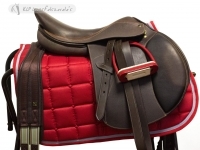 Extremely lightweight and easy care. Complete with numnah, girth, stirrups, stirrup leathers. 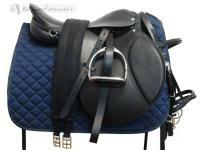 A lovely comfortable saddle and great value with all the accessories.